Are collaboration tools putting your business at risk? With critical, often sensitive files being shared and saved by businesses across different platforms, how do you ensure that your data won't fall into the wrong hands, while still empowering your employees to use the latest technologies to boost productivity? Yes, Bring Your Own Anything (BYOX) might bring more power to your employees, but at what cost to your IT? BYOX is evidence of the evolution of consumerisation of IT, and fast becoming an established term in our IT vocabulary. It started off with Bring Your Own Device (BYOD), which soon led on to Bring Your Own Software (BYOS) and Bring Your Own Cloud (BYOC). BYOC and BYOA are very similar because they involve employees using their own piece of software to make their jobs easier. Whether communicating via an IM application or storing documents in the cloud, employees are making their own technology choices based on what is most convenient for them, instead of necessarily using the software dictated to them by an IT department. But what do employees and IT departments need to consider when BYOX is in operation? It might appear simple, but with the Bring Your Own trend expanding beyond devices, there are so many more choices available, which in turn opens up more opportunities for infiltration and security failings. Ownership of data and apps can often appear to be a grey area amongst businesses who allow BYOX, but it doesn't need to be. Yes, the app can be held on a device which also stores personal information, but the app itself, and the information it stores, belongs to the business. As well as this, it's a great idea to regulate the type of devices, apps and cloud services employees are using, to ensure everyone has the best access to any systems you use. For example, using cloud collaboration platforms is a great way to stay in touch and up to date across multiple locations, but this can only be useful when everyone has full, unfaltering access to your site. Providing an approved list of providers and services for BYOX helps your IT department stay in control of the process, whilst also giving your employees the tools they need to get the job done. Expanding on online collaboration and BYOX, there also appears to be a generational gap when it comes to adoption. Younger generations have started to expect BYOX in their workplaces, demanding simple, user friendly and social ready platforms. Using cloud collaboration tools which easily translate from desktop to handset can help bridge the gap between generations, ensuring older members of your workforce don't get left behind, and younger members can continue to use technology they are used to. Would your office be ready for employees to expect so much from your IT, and what are the pitfalls if something goes wrong but your IT department wasn't aware? Yet another grey area it would appear. Keeping devices secure and up to date, as well as mentioning to IT departments what is being used can ensure continuous uninterrupted availability of business critical information. 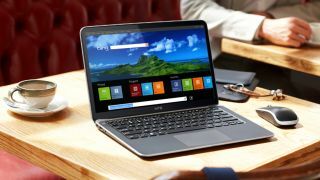 Not only can this allow users to take advantage of tools which allow out of office collaboration not previously available, but it can also help businesses branch out into new cloud technology without having to buy in several new handsets or software. For example, cloud collaboration tools are available to ensure productivity for field engineers who might not visit the office often, when they might install BYOX without first consulting the companies IT department - which might make them more susceptible to IT issues. Instead, they can now take advantage of the full, approved list of providers and services, keeping both their own personal data and company information safe from attacks. BYOX doesn't need to spell disaster if employees are open and transparent with their IT departments. It may be an employee's personal device, but when they start to store sensitive, business critical information, it become a business's concern. It's all about keeping everyone in the loop regarding BYOX choices, which in turn can support your business collaboration efforts across these new platforms. Erkan is an information security specialist with over 10 years' experience. He currently holds the position of Chief Trust Officer at Projectplace, following previous experience as Chief Information Security Officer, and is responsible for the company's information security programme.